I know what you're thinking...why are we talking about Christmas already! It's not even Halloween! Yes, I know. 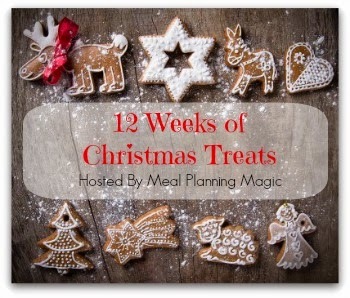 But #1 I'm a planner and #2 it's time for the 12 Weeks of Christmas Treats blog hop! Besides, these don't have to be a Christmas treat, they can be an anytime easily popable treat :). 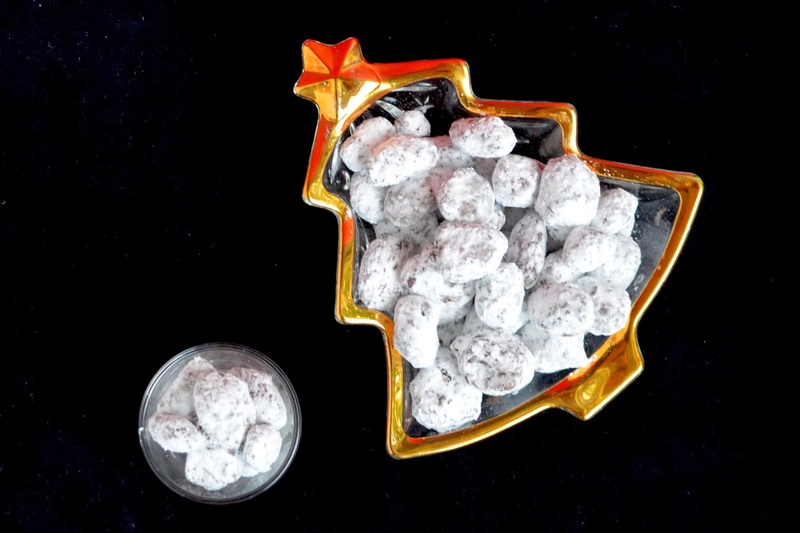 Think about it, almonds, covered in toffee, covered in chocolate, coated in powdered sugar. Yes please. So you think I'm all ahead of the holidays right? Actually, this week is the second week of 12 Weeks of Christmas Treats. I missed last week. I was trying to get everything together (testing this recipe over and over to make it delicious for example) but I ran out of time and missed the deadline. That's okay though, because here it is! 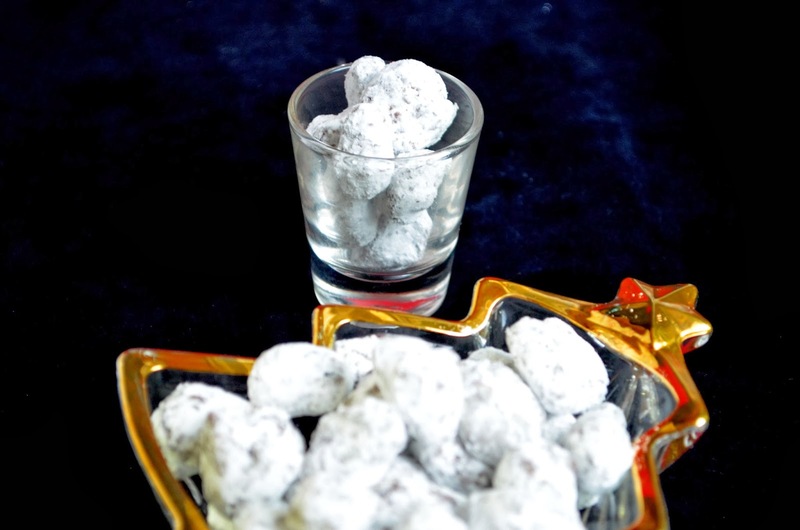 In all it's toffee, chocolate, and powdered sugar covered almond deliciousness! Now I'm sure you keep saying to yourself, what is she talking about when she says 12 Weeks of Christmas Treats!?! I participated last year too actually. It is a blog hop hosted each year by Brenda at Meal Planning Magic and it's lot of fun to participate in and see what everyone makes each week. I have a very exciting idea for next week, but here's hoping I can make the recipe work :). If you want to participate too then you can sign up here. I will say that this recipe will take some time, but it's really easy, and you can go do other tasks between steps. If you leave it in the refrigerator longer, that's okay, if you let the nuts cool longer than 20 minutes, that's okay too. So don't be alarmed by the time it takes while you're waiting between steps because you can do it at your own pace. I also don't think that think recipe should be doubled because it may be to much to handle in the zip-top bags. Happy baking everyone! 1. Preheat the oven to 300F. In a medium bowl stir together the light brown sugar, granulated sugar, light corn syrup, salt, and vanilla until smooth. Stir in the almonds until they are coated. 2. Cost a sheet pan with nonstick spray or line with nonstick foil. Spread the almonds out evenly and bake for 22-24 minutes. Separate the almonds as much as you can so that none of them are in a pool of liquid on the pan, or spoon the almonds onto a different pan to cool completely, about 20-30 minutes or until hardened. 3. In a medium bowl melt the chocolate, butter, and milk in the microwave or over a double boiler. Stir the hardened almonds into the chocolate until the almonds are coated, then let them sit for a few minutes to solidify the chocolate a little. 4. 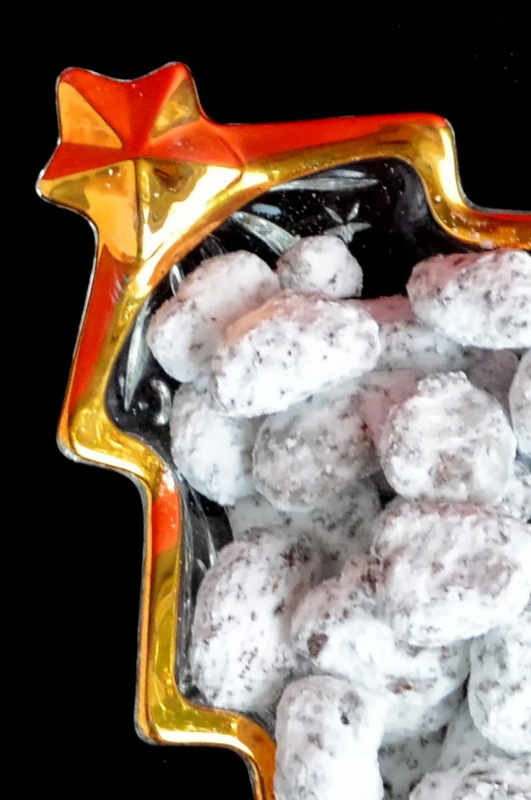 Place 1 cup of powdered sugar into a 1-gallon zip top bag, then add the chocolate coated almonds and shake until they are coated in the sugar, breaking up any clumps. Pour the coated almonds back onto a sheet pan and chill for 15-20 minutes or until the chocolate is hardened completely. 5. 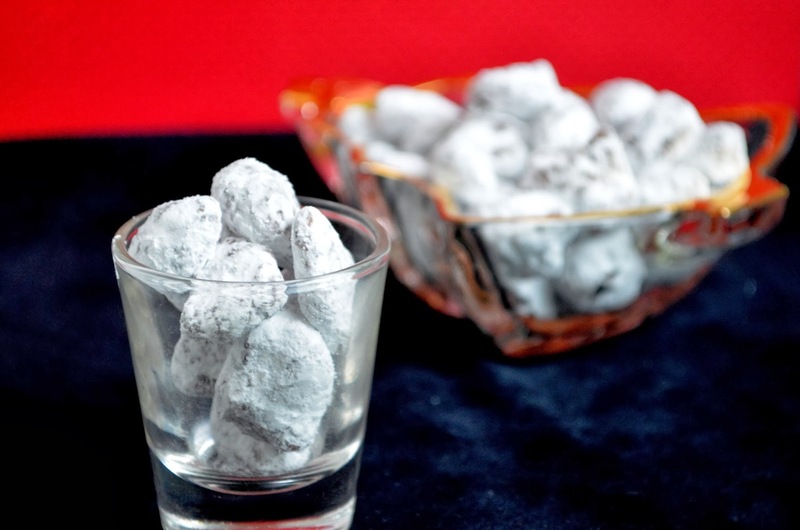 Place the remaining ½ cup of powdered sugar into a clean 1-gallon zip top bag, add the chocolate almonds, and shake until they are completely coated. If desired, pour the almonds into a fine sieve or strainer to shake the remaining powdered sugar off of them, then serve.